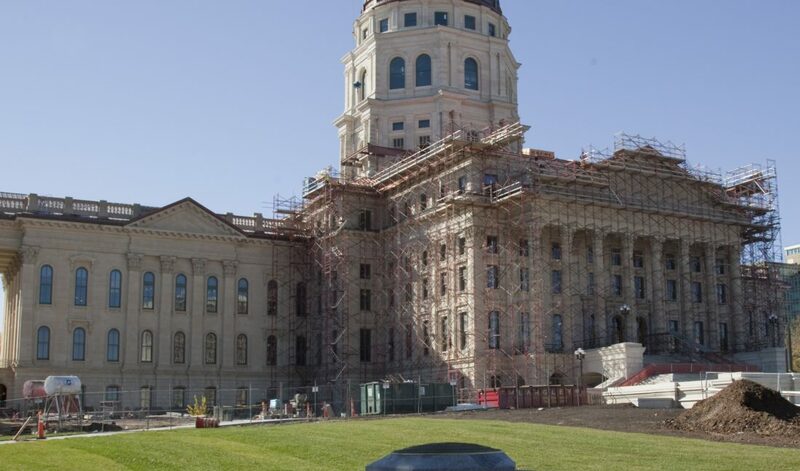 Perhaps it is hard to believe, but the end of the construction at the Kansas Statehouse — about 12 years’ worth — is nigh. 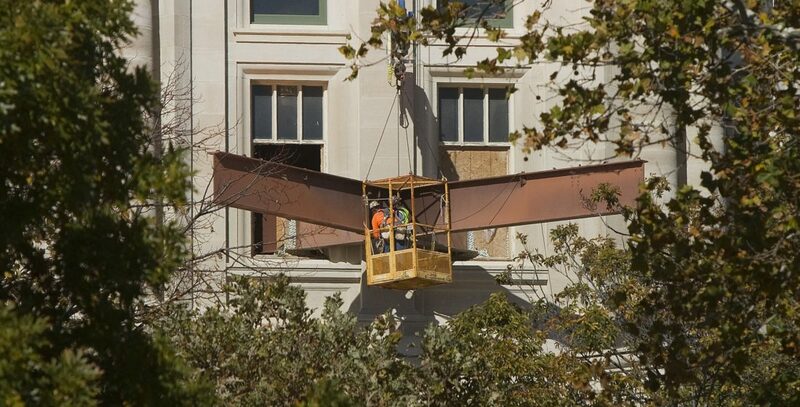 Workmen remove one of the steel beams used for support during renovation of the Kansas Statehouse. 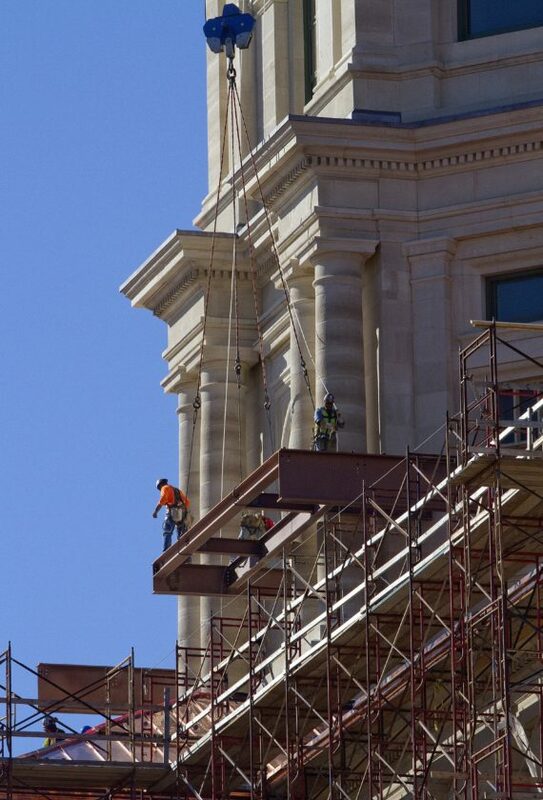 Looking west from SW 9th Street, a worker cleans windows as other workers remove scaffolding and beams from the Kansas Statehouse. 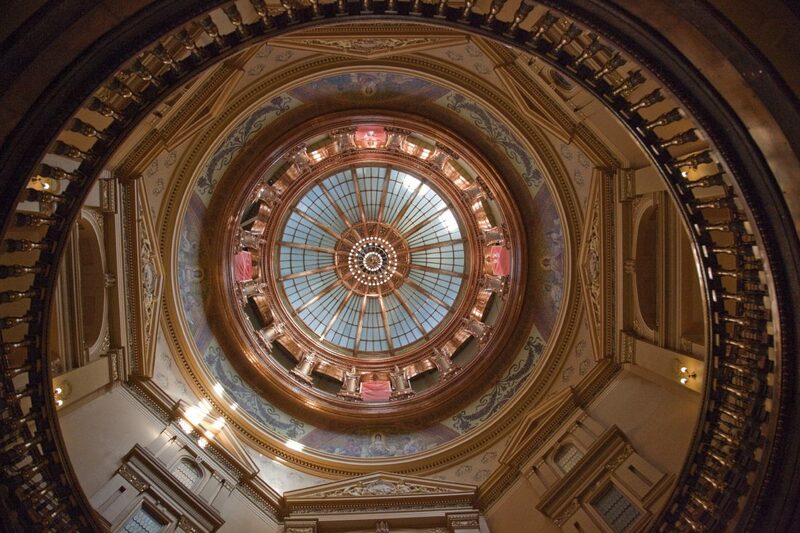 Inside the Kansas Statehouse looking up one can view the dome restoration. 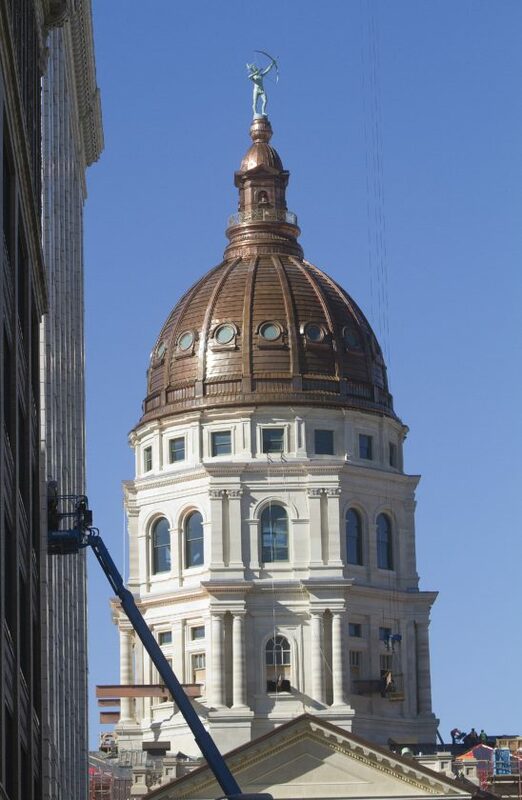 The multi-phase Kansas Statehouse restoration, currently underway, includes restoration of the first through fifth floors, rehabilitation/expansion of the basement, complete exterior masonry restoration, copper roof and copper dome restoration. 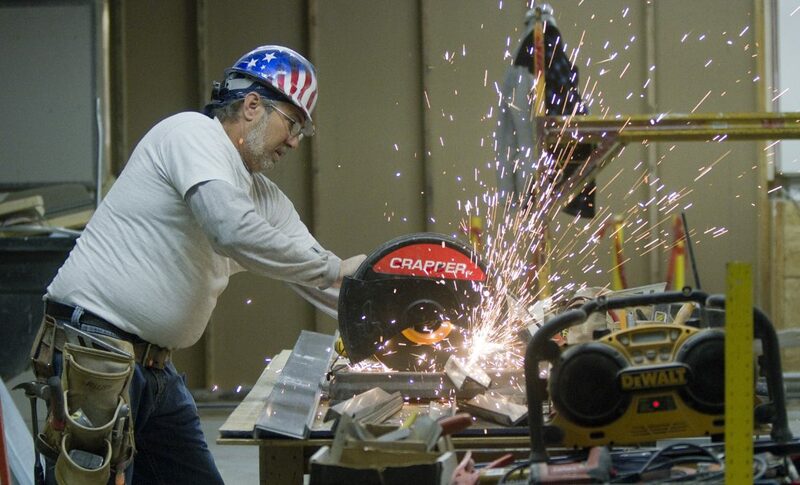 Brian Anstaett of Skyline Construction, of Topeka, cuts some steel for a room in Kansas Statehouse. 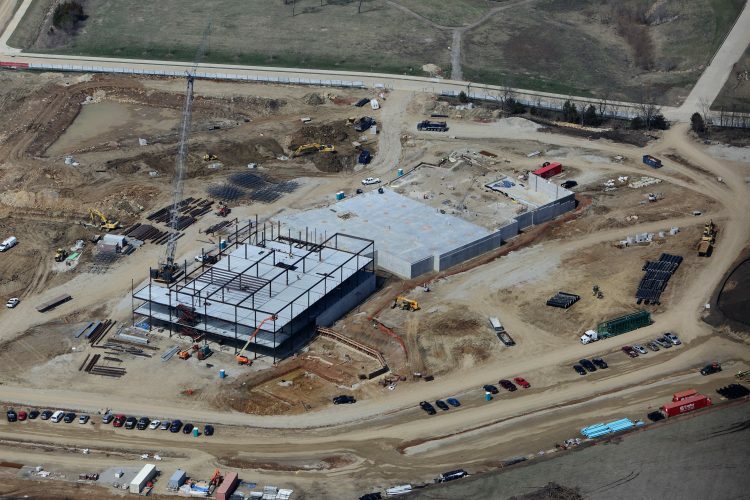 From left, Jeff Harless and Kiefer Cronk of Carthage Stone works of Kansas City, install stone tiles representing every county in the state. 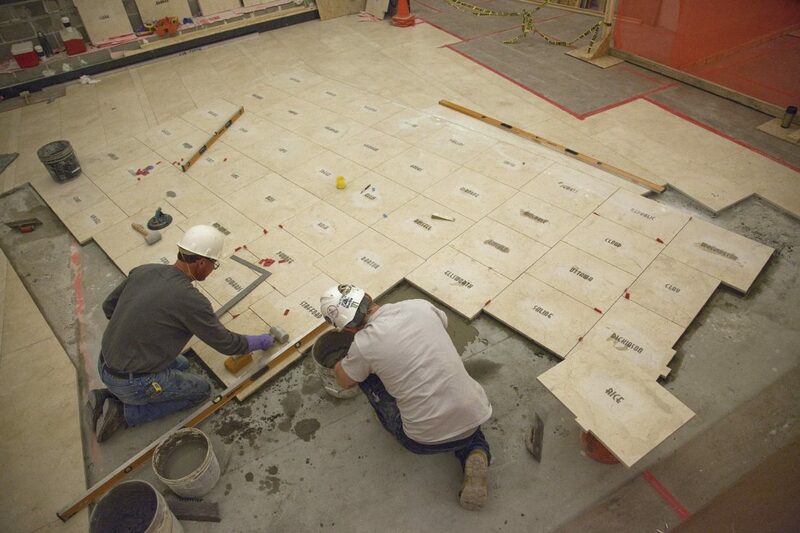 The tiles are located at the north entrance from the garage at the Kansas Statehouse.